Single-rackspace CD player with balanced outputs. 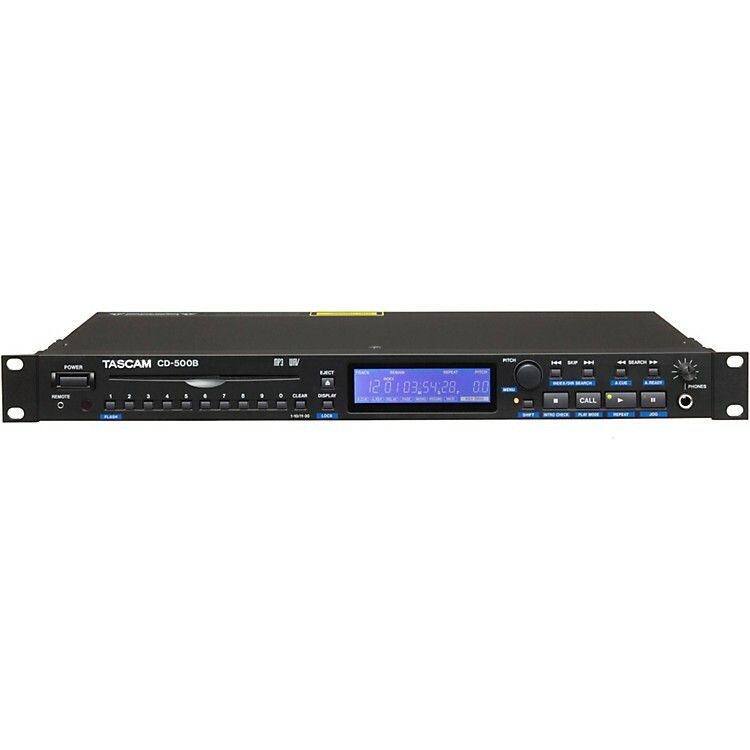 TASCAM's best-selling line of single-rackspace CD players has been updated with the CD-500B. The CD-500B is a slot-loading CD player with a new transport, featuring brushless motors and an edge-grabbing mechanism to prevent disc damage. A front-panel 10-key pad is available for instant access to CD tracks, and flash start is available for instant playback. Play music reliably and easily with the CD-500B, order today!